Sources: Piedmont Skirted Bathtub, $3,950 (). Showering arm: Similar from Newport Brass products, from $675 (). Glass tile: Lake Garda in Bay Leaf, from $24.39 per square foot (). Floor tile: Sierra Travertine, $6 per square foot (). 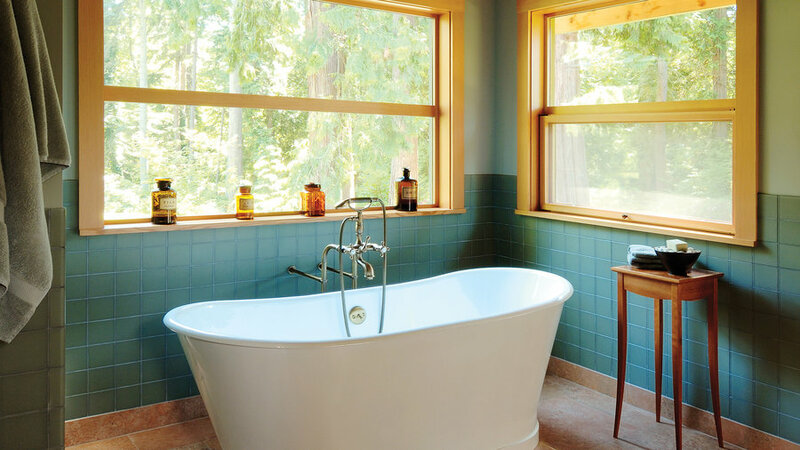 Source: Hinoki Soaking Tub, $8,500 ( or 503/829-4524).